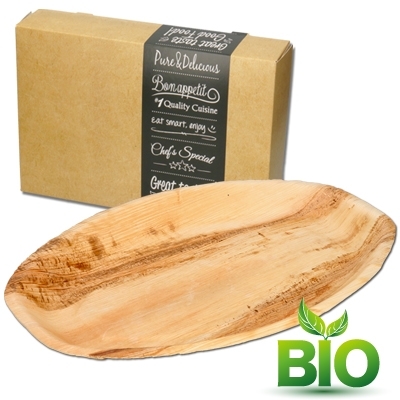 Your appetizers or sandwiches are beautifully presented on the palm leaf catering trays! The palm leaf platters are produced in a 'fair' way and made of 'fallen' palm leaves. If you want to transport the snacks in a safe and easy manner then the biodegradable catering boxes are the perfect solution!